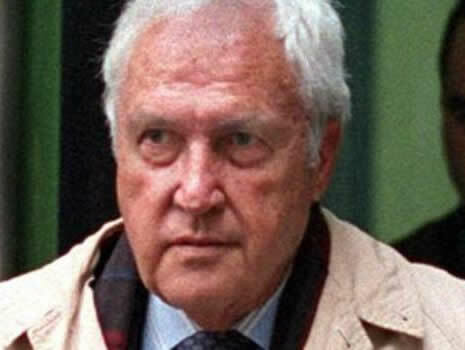 When in 2003 H. Paul Rico, a 78-year-old former FBI agent, was indicted on a murder charge for aiding mobsters in the killing of a wealthy Oklahoma businessman, it was yet another black eye for the FBI in the Boston office whose members had been convicted of working with a section of the Boston underworld. Rico was a longtime player in the Boston scandals that ripped the federal agency in that state with charges of aiding and protecting members of the notorious Winter Hill Gang run by James Bulger in his war with Mafia elements. In 1981 55-year-old Roger Wheeler, president of the Telex Corporation and owner of World Jai Alai, a major player in the gambling business, was murdered in Tulsa, Oklahoma. At the time Rico was chief of security of World Jai Alai. The hit man was John Martorano of the Winter Hillers, who would later testify against the biggest fish of the rogue FBI agents in Boston, John Connolly Jr., in an arrangement in which Connolly became in essence a member of Bulger's gang and helped gang members who were his informants. Connolly was convicted in 2002 and went to prison for 10 years. A key witness against Connolly was hit man Martorano who also implicated Rico in an alleged homicide, the murder of Roger Wheeler. Martorano admitted the hit and told the court in the Connolly case that Rico approached him about taking out Wheeler because the gang figured the World Jai Alai executive had discovered that the mob was skimming $1 million a year in jai alai profits. According to the hit man informer, Rico had provided him with a physical description of the intended victim, along with the make and license number of his car and his home address. After that, Martorano testified, he shot Wheeler point blank in the head as he got in his car after a round of golf. The record seemed to indicate that although the Tulsa police had tried earlier to charge Rico for the murder, no case came to pass until in 2003 when he was indicted by a grand jury. A lawyer for Martorano insisted the FBI had not acted in the Oklahoma charge and that the indictment had been caused by a runaway grand jury. The office of the Tulsa County district attorney issued a statement that it had "no comment at this time on the ongoing criminal investigation into the murder of Roger Wheeler." Needless to say the news media, the public and law enforcement showed keen, even explosive, interest in the indictment both in Tulsa and Boston. Rico died on January 17, 2004, at a Tulsa hospital while awaiting trial.